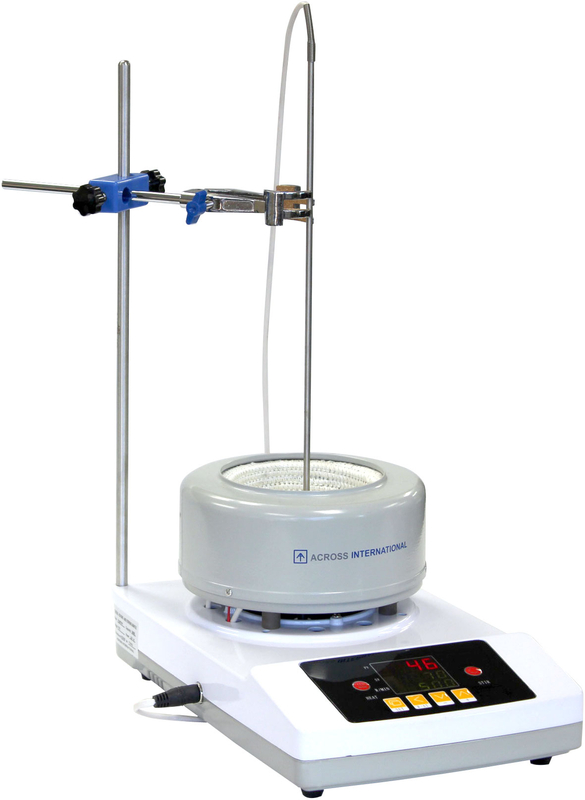 Ai DigiM 500mL plug and play magnetic stirring and heating mantle. Comes standard with digital display for accurate control, and large display numbers for easy temperature and rotation speed readings. Two sets of thermocouples allows you to detect heater or material temperatures. Heating jacket is treated before shipment, to prevent release of smoke and odor caused by heat into your working environment.